"The New American Heartland" report made it's debut at the City Club of Cleveland yesterday. It's now officially out in print. I'd like to hope that the gong at the City Club was the signal going forward that the "Rust Belt" term has come to an end. Indeed, that was my personal contribution to the discussion at the panel. More than that, though, I hope that the narrative that the report supports goes forward in development circles. The New American Heartland's combination of manufacturing prowess, logistics, energy, and human capital are the formula for revival of Middle America and renewing of the middle class. Joel Kotkin said it best. 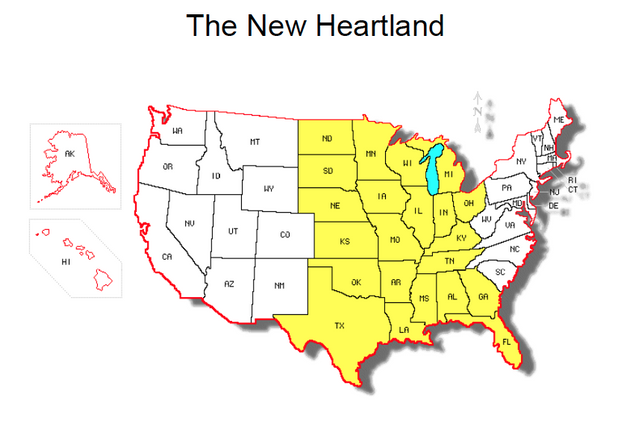 "The future of the Heartland rests with the Heartland."